This spring, MK Gallery showcases new and exciting work by over 70 emerging and established artists in MK Calling 2017. This exhibition will celebrate and champion the breadth of creativity in and around Milton Keynes and includes a wide range of art forms alongside a dynamic programme of events and participatory sessions. 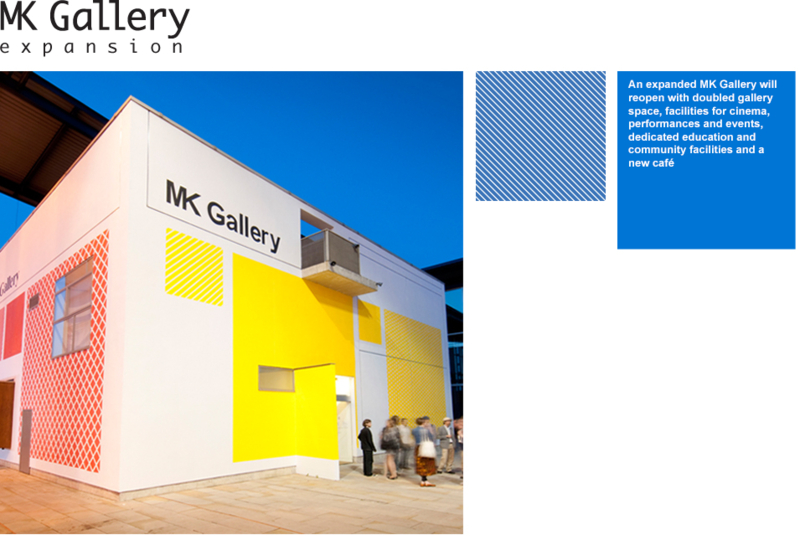 Building on the highly popular MK Calling exhibitions in the summer of 2013 and 2015, this year’s show will see artists utilise and transform unusual spaces within the Gallery. Provocative, humorous, sensitive and brash, the exhibition includes artists of all backgrounds; all of whom have a connection to the city, either through locality or their practice. As well as discovering the finest new talent, we are delighted to offer repeated opportunities for local artists to display work, with more than a third of the past exhibitors making a welcome return. Diverse themes and subjects will be explored through painting, drawing, sculpture, video, installation and much more. Many of the artists have chosen to respond directly to our expansion plans and will present site-specific work that looks at architecture and the fabric of the building in its current form. The MK Calling 2017 preview with live music, food and drinks will take place on Thursday 20 April from 6-10pm. Speeches will take place at 6.45pm. Everyone is welcome. Tickets are free but must be pre-booked here. MK Calling 2017 runs from 21 April to 27 May 2016. Admission is free. “On Monday I visited all four participating schools, and went exploring in the two Milton Keynes Parks Trust locations we’ll be using, Howe Park Wood and Campbell Park. The two sites are so full of contrast, yet equally full of possibility. It was brilliant to meet all the children that I’ll be working with. While visiting the four schools I showed them images of my artwork to get them thinking about what is possible – how we can use art to explore, record and interpret different places. The four participating primary schools are: St Thomas Aquinas Catholic Primary School, Bletchley; Holne Chase Primary School, Bletchley; Brooklands Farm Primary School and Pepper Hill School in Bradville. The Green Town Group project is supported by The Ernest Cook Trust. For more details see website HERE. Yesterday we had an extended meeting lasting most of the day to consider the procurement of FF&E (furniture, fixtures and equipment) for the expanded gallery. This involved relevant staff and some of our professional team members (including 6a architects, and acoustic specialists Charcoal Blue in detailed discussion about the “nuts and bolts” of running the new gallery. The areas under consideration were our front of house facilities, the new Shop and Café, the multi-purpose auditorium, the learning space, and last but not least, the galleries themselves. Before work can begin on our expansion and renovation, we need to decommission our main gallery building. This includes moving Curatorial and Learning staff across Margaret Powell Square to join Administration, Finance, Development and Marketing staff already in offices on the first floor of the Project Space. But before that can happen, the Project Space needs minor internal reconfiguration so that everyone can be accommodated and after sixteen years of wear and tear on the building some essential basic redecoration is needed. For the last few weeks the decorators have been working around staff in the Project Space but on Monday work began in earnest on the office reconfiguration. Five of us moved our desks and filing along the top floor to the large room overlooking Midsummer Boulevard; this will become an open plan office accommodating most of the gallery team. We vacated and emptied our office in double-quick time, and some redundant, space-hungry furniture and equipment was sent to the skip for recycling. For the next few weeks we swap gloss paint fumes for the cacophony of builder’s hammers, carpenter’s saws and electrician’s drills…but it will all be worth it in the end when everyone is united in one place and we are a step closer to the main building being ready for handover to a contractor. Here are a few pictures showing some of what’s been happening; we look forward to updating you with the final results when work is complete!